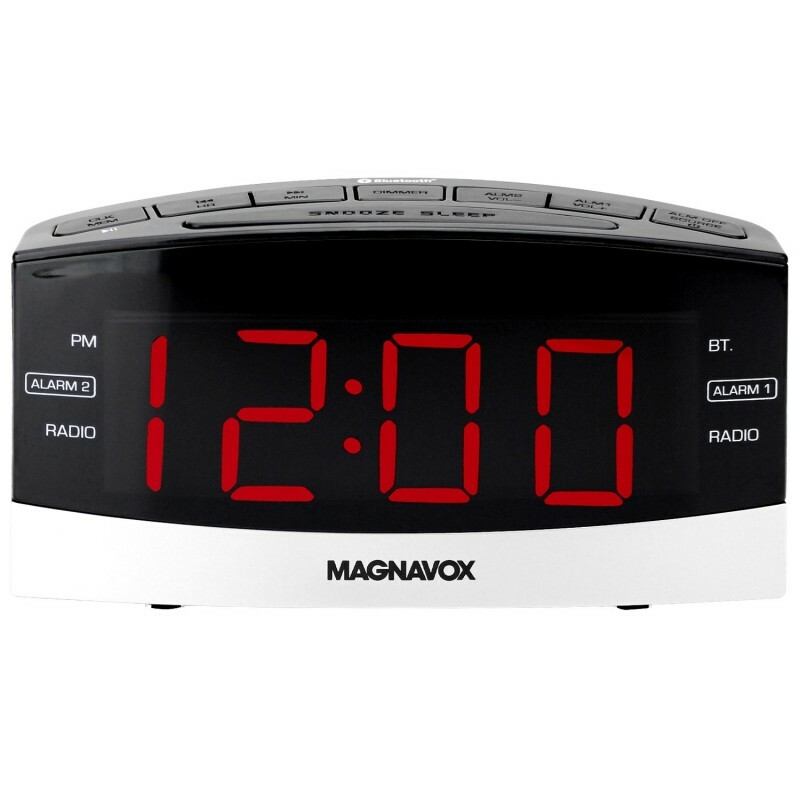 The Magnavox MR41806BT Clock Radio is more than just an alarm clock with AM / FM radio, this little clock brings Bluetooth technology to make it easy to play those easy listening stations or favorite playlists through your phone seamlessly and wirelessly. Place batteries in it to make sure you keep your clock and alarm operational in the event of a power outage. With a large 1.8inch display you can catch a glimpse of the time from a good distance away from the unit. 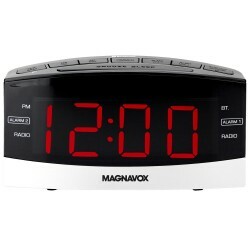 This Clock Radio brings digital AM / FM radio with 20 preset stations (10 AM / 10 FM). 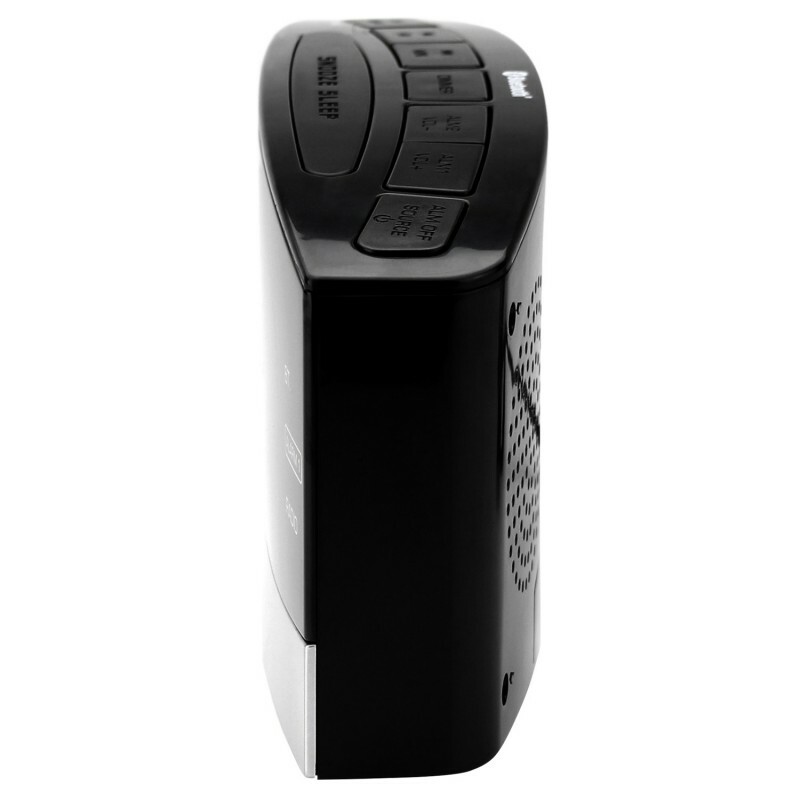 You can wake up to an alarm sound or simply to the morning radio with the click of a button. Connectivity is simple with built-in Bluetooth and a 3.5mm auxiliary port to connect many types of audio devices. 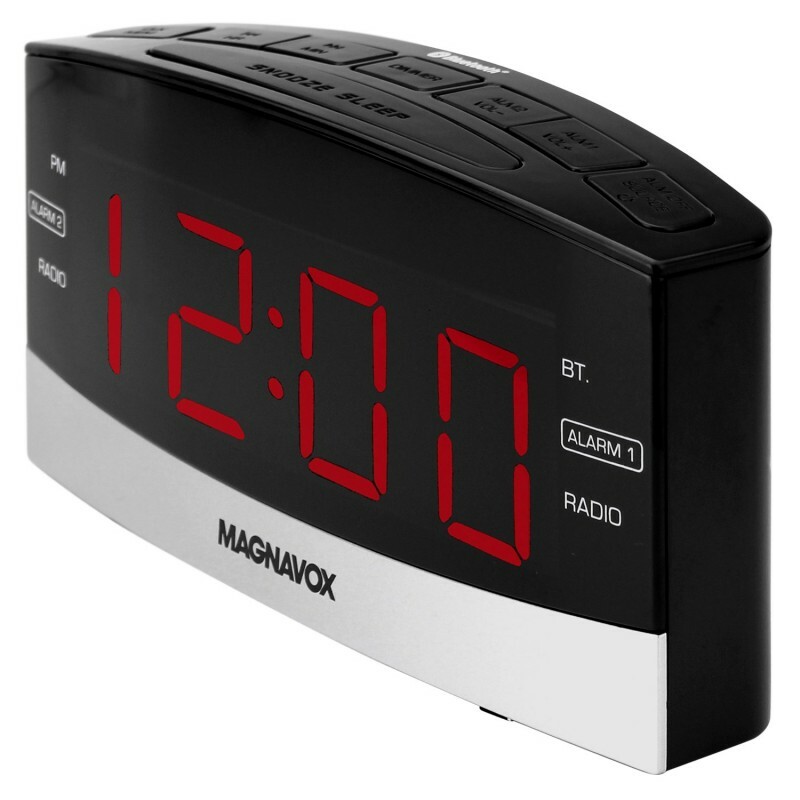 This small clock radio has a large 1.8 inch screen for numbers to be displayed clearly and visible from a good distance. The unit is powered through an AC adapter but also has a backup battery compartment to make sure you never lose the time or miss an alarm.